A great option for heating or cooling your entire home or business. Ducted systems offer maximum comfort all year round. Ducted systems come in a vast range of sizes, styles and configurations. Air Forced Air can provide qualified technicians to advise you on-site of the best options for your environment. 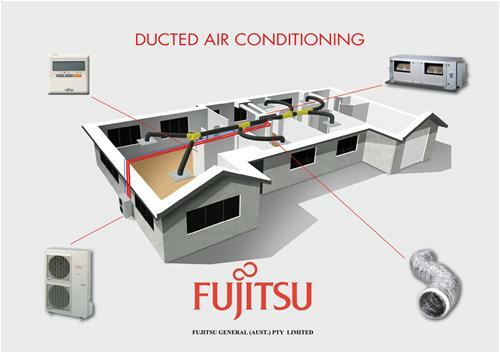 Ducted air conditioning comprises of one indoor unit (generally in your roof cavity) connected to a series of ductwork that supplies conditioned air to as many rooms as you desire. It also requires and outdoor unit which will be placed appropriately.